Working with KNUS for our bathroom makeover has been a breath of fresh air from the get go. From the very beginnig, I have been treated with the utmost care and and there is not a single thing I can fault them on. From the selection process, to ordering online, right through to ensuring my goods were safely and correctly delivered to my door, their customer service is simply impeccable! Of course this is all the cherry on the top because what will really blow your mind about his wonderful company is the incredible selection of bespoke South African products they offer. You will simply want to spend hours browsing their website and will no doubt, be inspired to create beautiful living spaces in your own home, one beautiful piece at a time. As with all beginnings, ours is a humble one. KNUS started with an idea to sell beautiful handcrafted blankets to the South African market. After months of research, trial and error we realised the effort and determination that goes into handcrafted goods. We decided to go bigger and create a platform where other local creatives like ourselves could sell their products to the local market. A place that allows them to focus on what they love – creating. Where the quality and determination that goes into hand crafted products are appreciated and the people behind these products are supported. A home to a family of beautiful locally handcrafted products. Today, we have a beautiful online space where shoppers can get over 6000 bespoke locally handcrafted decor and furniture carefully selected from around South Africa all on one platform, without having to search far and wide for that something special, different and truly unique. Their Head Office is based in Cape Town, South Africa and ALL THEIR PRODUCTS ARE HANDMADE IN SOUTH AFRICA – no exceptions! It was so hard trying to decide what they would be best suited for KNUS to sponsor. Because they have such an incredibly large selection gorgeous products, we had to think hard about what would work best with this project specifically. We eventually decided on their gorgeous Liquorice floor baskets and Dhurrie floor mat. And I think you will agree that they are perfect for the space. 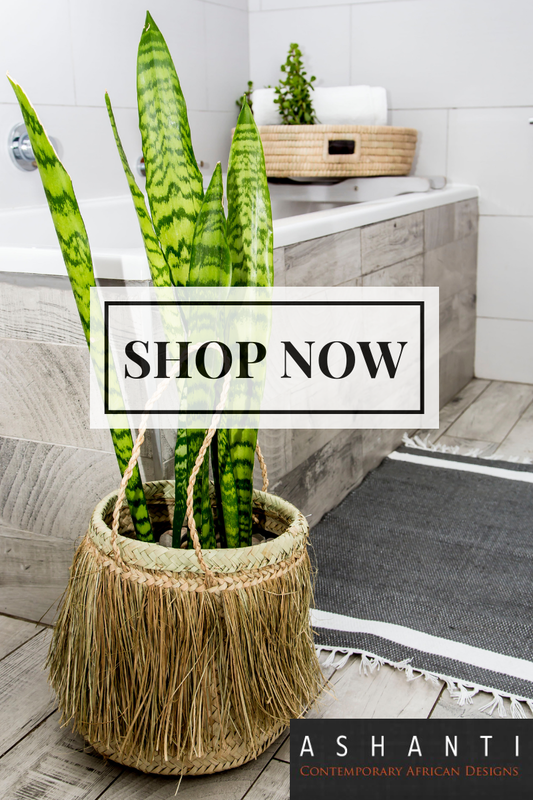 I love the detail these products added to our bathroom and the floor basket is so perfect for either laundry, towels or throws. They specialise in so many things but their MIRRORS, SCATTER CUSHIONS, TABLE & FLOOR LAMPS, ART PRINTS & WALL ART, BASKETS and TOWELS have to be me on my top list of things I LOVE!! 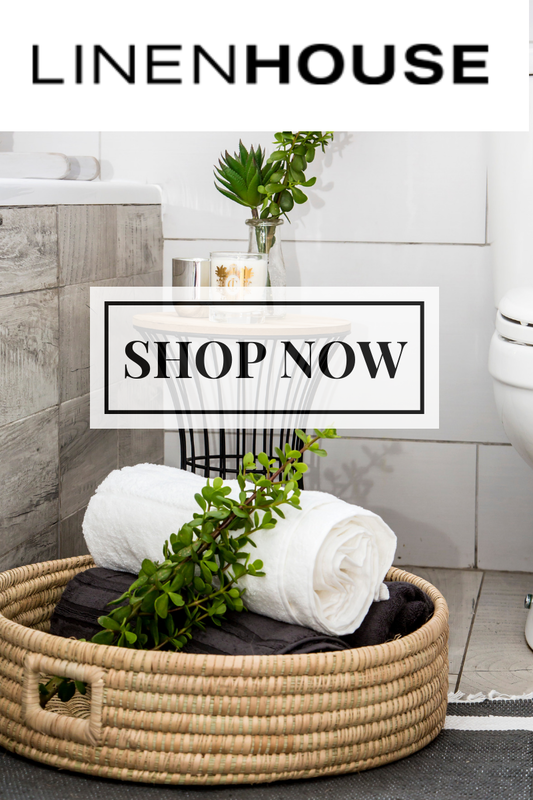 Remember that You can *WIN* a floor basket and bathroom rug valued at R1,425 over on our COMPETITION post, along with some other INCREDIBLE bathroom goodies! Simply go straight to our Facebook page and find the comp pinned to to the top of the page, follow the easy steps and stand a chance of winning a bathroom makeover valued at R8, 500!